Spend your days amidst the hustle and bustle of Manhattan and then take the short trip back to our quiet, well-appointed and relaxing homes away from home in Brooklyn. Our modern, bright two bedroom and studio apartments are located in a four story brick and brownstone townhouse. We are situated on a quiet, tree lined street only two minutes walk from the subway for easy access to Manhattan in 20 minutes. The two bedroom apartment overlooks a garden and the studio has its own front garden complete with a tree, plants and a bench to sit and watch the world go by. 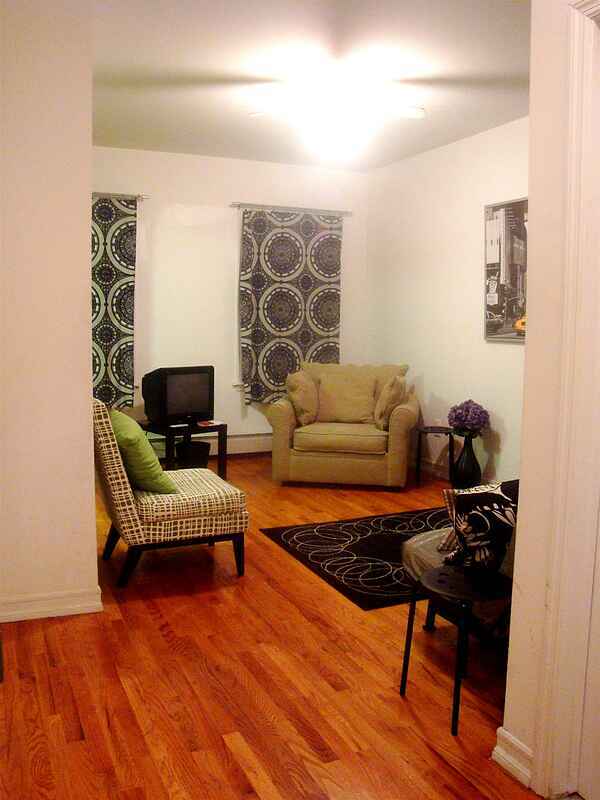 The apartments are comfortably furnished with everything you need for your wonderful vacation in New York City! The owner of the property lives in one of the apartments in the building and so is always on hand to answer questions or help with directions. An added bonus! : This three apartment townhouse is privately owned by an ex-pat from England. Emma came to New York to live and work, but spent several years seeing things from a tourist perspective as she explored a new city. If you stay with us at Jefferson Apartments, Emma's experience will be an added bonus - it's like having a concierge on the premises!